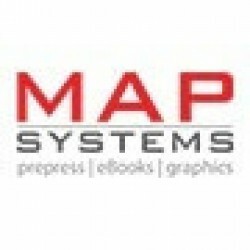 MAP Systems, among the leading service providers in India, offer premium quality services in eBook conversion, graphic designing, photo editing, digital prepress and 3d services for various entities worldwide. If you are planning to self-publish a book, you should craft a stunning layout to captivate the attention of the audience and this is something which you can’t escape. A captivating cover design lures the readers into the pages deep inside. Often, a drab cover fails to draw the attention of customers. The matter inside the book often goes ignored just because the cover lacks appeal. Evidently, you should craft the cover from the marketer’s perspective, while focussing on typesetting. This strategy holds good both for traditional and eBooks. While a well-judged design refines the external look of a book, you need an impeccable typesetting layout design to retain the reader’s attention when he goes through the lines inside it. The text and graphic elements should not be too crowded to cause a visual distraction for the reader. Moreover, the design should go well with the content and category of the book. In order to design a strong interior, you should focus on two areas, typesetting and layout design. Layout: The layout refers to the entire architecture of the product, including the columns, margins, art, and illustrations. It should have a pleasing mix of various visual elements and graphics. Typesetting: Typesetting refers to the internal details of a page, including the size of types, font, hyphens breaking the lines and space between two consecutive lines. Here, you will come across the right strategy to design the layout and typesetting in a book to ensure its acceptance. While crafting a book layout, the first step involves selecting the trim size. You may opt for the standard size, like 5.5 x 8.5 inches or 6 x 9 inches. These are ideal for novels and memoirs. If you are designing an art book with large photographs in it, you can make it wider. It can have a small caption using texts on each of the pages. In case your book consists of more than 250 pages, choosing a small trim size, below 5 x 8 inches will make the book thick, which may cause inconvenience in handling it. In these cases, you should choose a wider cover to manage the width of the book. While designing the cover of the manuscript, decide whether to use a jacket, paperback or hardback cover, or a case-bound book with the art printed on the cover. Case-bound and hardback books involve higher costs for shipping and production. Integrating the margin seamlessly in your book adds weight to the visuals. In spite of being a blank space, it is an integral element of the book layout design. In a paperback, you have three margins, one on the outside, one on the top and the other at the bottom, each entrusted with a specific role. The names of the book and author are placed in the top margin. In some books, the page number is also included in the top margin. The margins on the outside provide space for the reader to hold the book. The margin at the bottom provides space to support the block of text above.Apart from these, the gutter acts as the inside margin, holding together the sewed or glued pages. It ensures that no text moves close to the binding part of the book. It is wider than the other margins. After deciding the margin, you should concentrate on the typeface. In books, serif fonts like Caslon, Garamond, Goudy, and Baskerville are used. In art books, cookbooks, and guidebooks, you can use sans-serif fonts to infuse a modern essence in it. The readers should also find it easy to read these books and the above detailed is one the important typesetting design tips. It should be compatible with the layout. Incorporate Bold, Italics and semi-bold effects where necessary. For the font size, choose 11, which is ideal for most of the books. The white space present between the lines, known as ‘leading’, is equally important. You should maintain the spacing between the lines. Do not stuff lines to save space. It should have between 33 to 36 lines per page. These refer to the lines present on the page, providing information about the name of the book, author, and page number. At times, the page numbers are placed at the bottom of the page, in the form of a ‘foot’. These are usually placed in the center of the pages, although you can align them slightly to the left or the right. These heads and feet should be small so that they do not disturb the overall essence of the text. Professional typesetting outsourcing companies typically keep these in mind while working on it. In case you have art, illustrations, and photographs in your manuscript, accommodate them in the layout. The genre of the book should decide the interplay of graphics and texts. For instance, children’s books should carry a limited amount of text per page, at the top of the artwork. Provide room for the photos and graphic elements to speak for themselves. They should not be too crowded. In case of novels, you can focus on an image based on the story, with a sheer mix of texts and graphic elements. You need to use small graphic effects inside the pages to provide the readers with a break from the continuous flow of texts. They also act as a visual cue, guiding the readers about the location of texts. These are placed at the beginning of the chapters, or at the end. The readers can refresh their mind for a while before starting the next chapter. You can either use a particular design throughout the book or use a signature to add a personality to it. Companies suffering book illustration services can, in fact, guide you in the same. One of the most common mistakes with designing the interior of the book is the failure to leave substantial amounts of white space. You should provide ample space for the margins and lead. The text should not make the eyes uncomfortable. Hyphenated words should be avoided at the end of sentences, as they tend to create a different word. If inevitable, use the necessary punctuation marks to make it compatible with your page. Single lines, which do not belong to any paragraph, should be avoided at the beginning and ends of the pages. You will find these guidelines extremely helpful when you design the pages and set the typography of your book. Many digital prepress companies offering professional book typesetting services can be approached but finding the best one only assures you the expected results.